The EP and Volunteer Training Call Schedule has been posted; and the first EP Calls for all programs start this week, along with the VRC Referee Call. The materials that Event Partners will need this season are all available in one convenient location, please visit Event Partner Resources & Documents. You can also find volunteer training materials, including the Referee Guide and the training call schedule, now available on the Volunteer Resources page. The Event Partner section on the VEX Robotics Forum is another great location to share information, connect with other Event Partners, and ask questions throughout the season. If you are not yet part of the EP VEX Forum, please provide your VEX Forum user name and email address to your Regional Support Manager and request to join today! Event Partners are reminded that November 1, 2016 is the deadline to post a qualifying event for the 2016/2017 season. It’s quickly approaching and we recommend you finalize event details soon and appreciate your support in meeting this annual deadline. 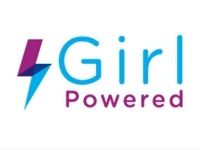 Host a Girl Powered Activity on October 11! The REC Foundation seeks to increase student interest and involvement in science, technology, engineering, and mathematics (STEM) by engaging students in hands-on, sustainable, and affordable curriculum-based robotics engineering programs across the U.S. and internationally. For more information, visit www.roboticseducation.org.Not Getting These E-mails? 2) Make sure the alternate email address in your robotevents.com — http://robotevents.com/ team account is different — not a school address.